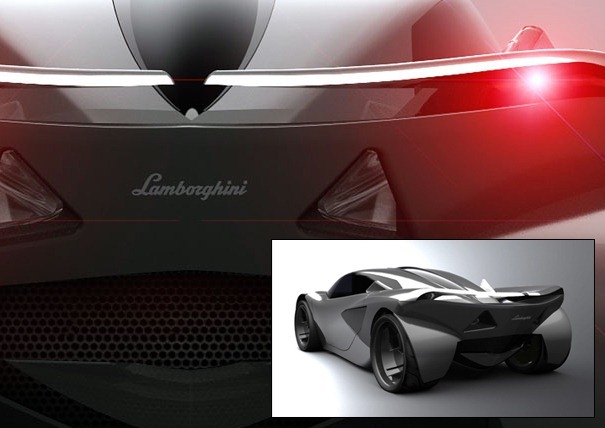 Designer Andrei Avarvarii has a vision for a smooth, voluptuous Lamborghini, the very opposite of the very sharp, origami-style of the Lamborghini Reventon. 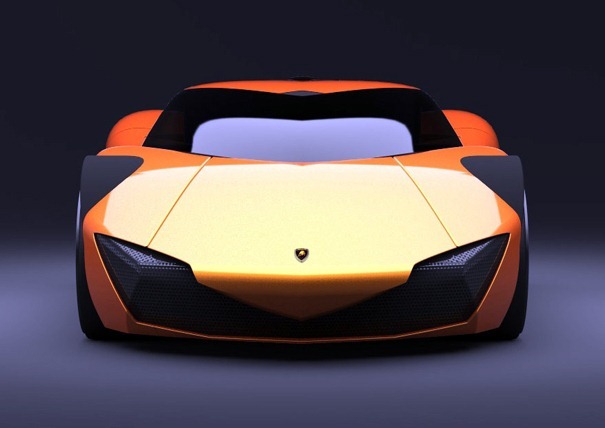 The challenge in creating this new Lamborghini “Minotauro” lies in not only staying within the strong identity system of the Lambo line, but also in making the vehicle electric! The challenge of course isn’t creating an electric car. We’ve had electric cars for years now. Nay! 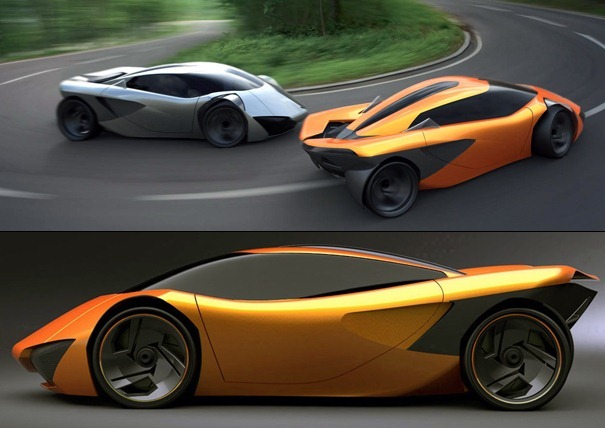 The challenge lies in convincing the consumer that not only is it cool to drive an electric car, it’s doubly cool to drive an electric supercar! Equipped with four asynchronous motors that divide the power 70% to the rear and 30% to the front axle. 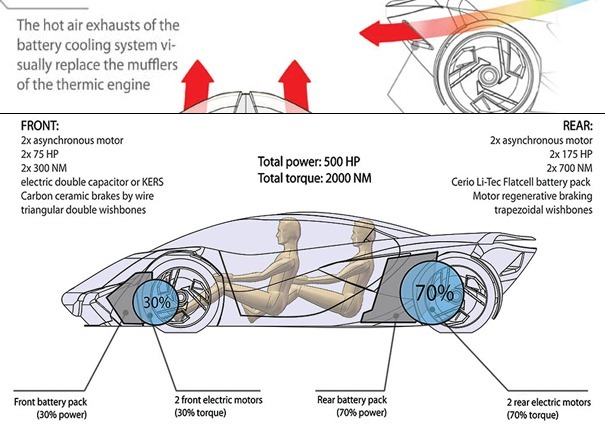 The car’s electricity is supplied by a Li-Tec flatcell battery pack located in the rear, doubled by a KERS system in the front. In the back, where the gigantic engine would normally be, there’s a third seat for the person who goes along for the ride, yelling and screaming because you’re going so extremely fast. Access to this back seat is provided by the extra-long “Lambo door” on the passenger side. Triangular shaped air extakes in the back serve as cooling for the battery. As an added bonus, they also channel the sound of the electric motors behind them, blasting it like subwoofers. In 2020, with the acquisition of the new Minotauro, the Lamborghini owner will also get involved in a brand new experience called REAL LIFE ONLINE GAMING. In this scenario the Lamborghini driver can race his car on a real racetrack (like the Nurburgring). The GPS data of his racing lap is uploaded into the Playstation game network as a ghost. PS players from all over the world can race in virtual reality against the Lamborghini owner and try to beat his best lap. This is the car enthusiasts’ social networking for the next decade.